When it comes to restaurant supply items, no one compares to roundeyesupply. 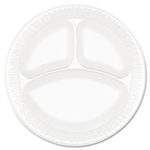 We have been selling paper plates and plastic plates for over 40 years. Caterers buy their disposable plates from us for weddings and banquets. Churches buy their dining plates from us for their picnics and barbecues. 65% of all restaurants in the country use disposable plates. What do all of these foodservice companies have in common, they all rely on Round Eye Supply for their paper, plastic and foam plates which make for easy cleanup and no dishwashing. 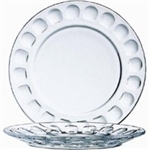 Clear Designerware Dinner Plate 7.5 in. Clear Designerware Round Dinner Plate 10.25 in. Roc Bread Plate - 6 in. Sausalito Collection Plate - 7.25 in. 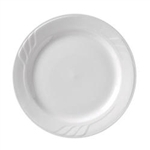 Vista Collection American Plate White - 10.5 in. Vista Collection American Plate White - 6.63 in. Vista Collection American Plate White - 7.13 in. 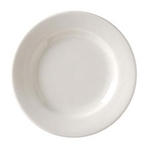 Vista Collection American Plate White - 9 in. Disposable plates are a critical foodservice product that you must never run out of. You can buy dining plates at wholesale prices here and anything else you need for your restaurant.